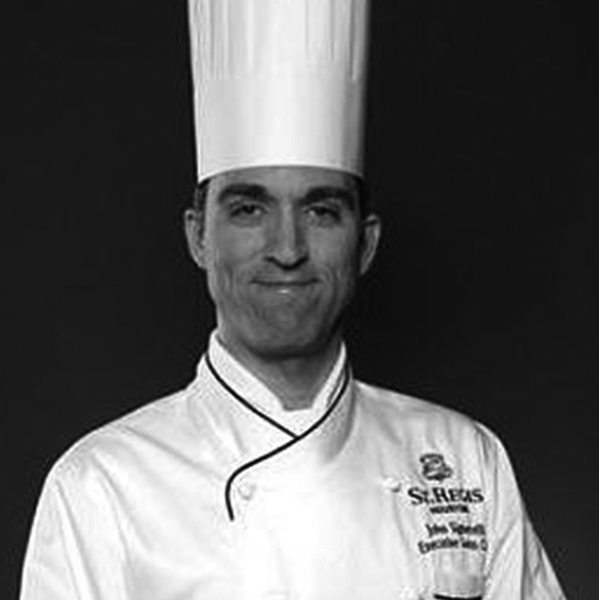 Executive Chef John Signorelli leads the talented culinary team at The St. Regis Houston Hotel after three decades working in the finest kitchens of several 5-Star, 5-Diamond hotels and restaurants under the mentorship of many Certified Master Chefs and Michelin-starred Chefs. Chef Signorelli has honed his leadership skills in the kitchens of several Ritz-Carlton Hotels in the USA and Japan, opening several of them, as well as at the prestigious Greenbrier. Being a top honors alumnus of the Culinary Institute of America, Chef Signorelli has also had the distinct opportunity to compete in the prestigious Bocuse d’Or competition as a finalist Assistant Chef. His passion for travel, dining, and selecting fresh, local and sustainable ingredients culminate to a broad range of true regional American influences reflected throughout the hotel’s restaurant menus, as well as showcasing his world-wide repertoire of flavors within The St. Regis Houston’s refined catering menus. Texas’s rich culinary heritage has also been an inspiration for the bold direction of his outstanding, inviting and award-winning cuisine. During his current tenure, The Remington Restaurant and The St. Regis Houston continues to be on the forefront leading edge of setting the culinary pace for the region.